The body of a man discovered on the M1 this morning had been “travelled over by several vehicles,” according to a police sergeant at the scene. At around 3am police were called to reports of a body on the northbound carriageway of the M1 and an investigation has been launched. The busy stretch of the motorway near Watford Gap services was shut throughout the morning, causing major delays backing up on the motorway. Sergeant Tony Hopkins, part of the investigating team, said the force now needs help to establish what happened. He said: “We got several reports from drivers heading northbound saying there was a body in the road. 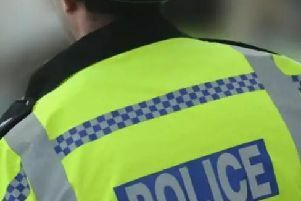 The body is believed to have been discovered close to Watford Gap services in between junction 17 and 18. Protective screens have been placed around the area. The motorway is closed between junction 16 and 18 on the northbound side, but delays are being experienced on the southbound side too. Sgt Hopkins has called for drivers to remain patient with the police crews while the investigations take place. He said; “We need to find out who this person was and why they were on the M1. “Has someone given a lift to someone they didn’t know? “We need to establish the vehicle that first collided with him.